Mattel WWE WrestleMania 35 Figures Now Up for PRE-ORDER! The Mattel WWE WrestleMania 35 Elite Series brings out the big guns, featuring two WrestleMania staples in Triple H and The Undertaker. The set also includes Scott Hall for die-hard WWE fans who remember the fallout of federation poison and Sasha Banks for fans of modern, in-the-making WWE Superstars. John Cena’s name is synonymous with WrestleMania, so he appears in the Series set. Also included is Elias as he tries to step on Cena to carve out his own place in history. Matt Hardy makes surprising return in this WWE Series set alongside fellow veteran Kevin Nash, sporting nWo gear. Plenty of representation for the Women’s division as WWE Hall of Famer Trish Stratus will be included in the set with Charlotte Flair…perhaps planting the seeds for a face off? To see all Mattel WWE Jeff Hardy items available click here! To see all Mattel WWE Sasha Banks items available click here! To see all Mattel WWE AJ Styles items available click here! To see all Mattel WWE The Miz items available click here! To see all Mattel WWE Shinsuke Nakamura items available click here! 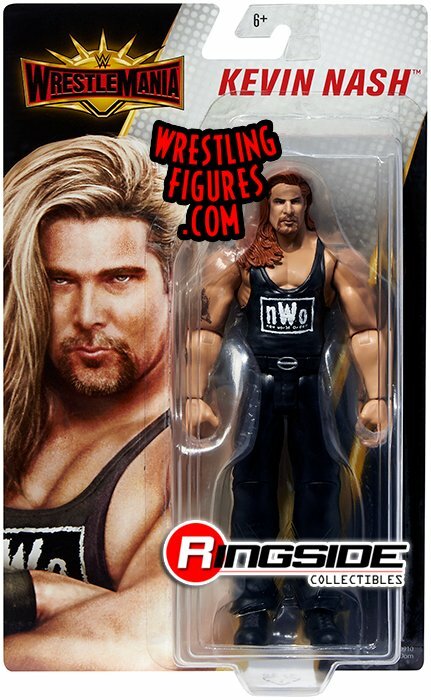 To see all Mattel WWE Kevin Nash items available click here! 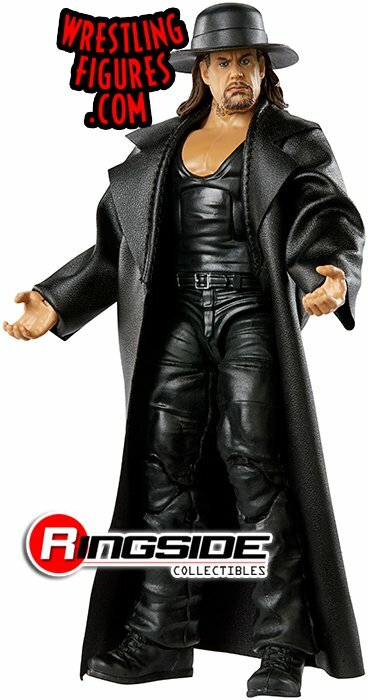 To see all Mattel WWE Undertaker items available click here! To see all Mattel WWE John Cena items available click here! To see all Mattel WWE Charlotte Flair items available click here! To see all Mattel WWE Matt Hardy items available click here! To see all Mattel WWE Trish Stratus items available click here! To see all Mattel WWE Seth Rollins items available click here! To see all Mattel WWE Scott Hall items available click here! To see all Mattel WWE Elias items available click here! This entry was posted in Mattel WWE Battle Packs, Mattel WWE Elite, Mattel WWE Series and tagged action figures, AJ Styles, Charlotte Flair, Edge, Elias, Jeff Hardy, John Cena, Kevin Nash, Matt Hardy, Mattel, Mattel WWE figures, nWo, Sasha Banks, Scott Hall, Seth Rollins, Shinsuke Nakamura, The Miz, toys, Triple H, Trish Stratus, Undertaker, WrestleMania 35, wrestling, wrestling action figures, wrestling figures, wrestling toys, WWE, wwe figures, wwe toys, WWE wrestling figures on October 15, 2018 by RSC Blog.